North Korea continues to create tension with its continuous tests of nuclear weapons and now the country has hailed as a success its latest test of an intercontinental ballistic missile (ICBM), describing it as a "stern warning" for the US. 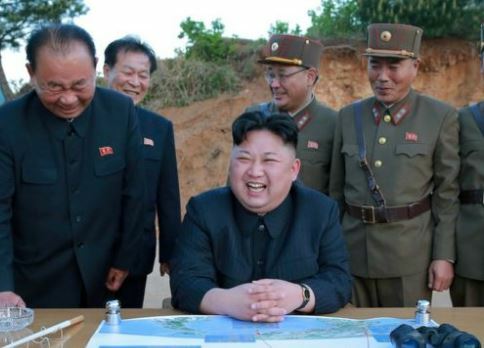 North Korean leader Kim Jong-un said the test proved that the entire US was within striking range, state media reported. Confirming the latest launch, the North said the ICBM flew for just over 47 minutes and reached an altitude of 3,724km (2,300 miles). The Korean Central News Agency says, 'the leader said proudly the test also confirmed all the US mainland is within our striking range". According to Melissa Hanham, Senior Research Associate in the James Martin Center for Nonproliferation Studies, 'North Korea's latest ICBM test went farther and higher than their previous 3 July test, meaning that they may be able to strike even deeper into the heartland of the United States than initially assessed'.